mi casa village offers 71 low income two and three bedroom units. This is a low income housing community and will have rent and income restrictions based on the area median income. *given the demand for low income housing, there may be a waiting list. Large 3 bedroom 1 bath house located near schools and public transportation. Section 8 accepted. Riverview towers is a senior low income housing apartment subsidized by the federal governments hud (housing and urban development division). Contact riverview towers for complete details on the current vacancies and housing applications. Northgate ii is a family low income housing apartment subsidized by the federal governments hud (housing and urban development division). Contact northgate ii for complete details on the current vacancies and housing applications. J allen nimmo court is a family low income housing apartment subsidized by the federal governments hud (housing and urban development division). Contact j allen nimmo court for complete details on the current vacancies and housing applications. Ivy hill apartments is a family low income housing apartment subsidized by the federal governments hud (housing and urban development division). Contact ivy hill apartments for complete details on the current vacancies and housing applications. 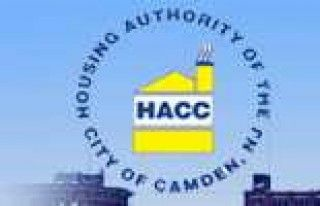 Camden oaks is a disabled low income housing apartment subsidized by the federal governments hud (housing and urban development division). Contact camden oaks for complete details on the current vacancies and housing applications. Harmony house is a family low income housing apartment subsidized by the federal governments hud (housing and urban development division). contact harmony house for complete details on the current vacancies and housing applications. All american gardens is a low income housing apartment subsidized by the federal governments hud (housing and urban development division). contact all american gardens for complete details on the current vacancies and housing applications.